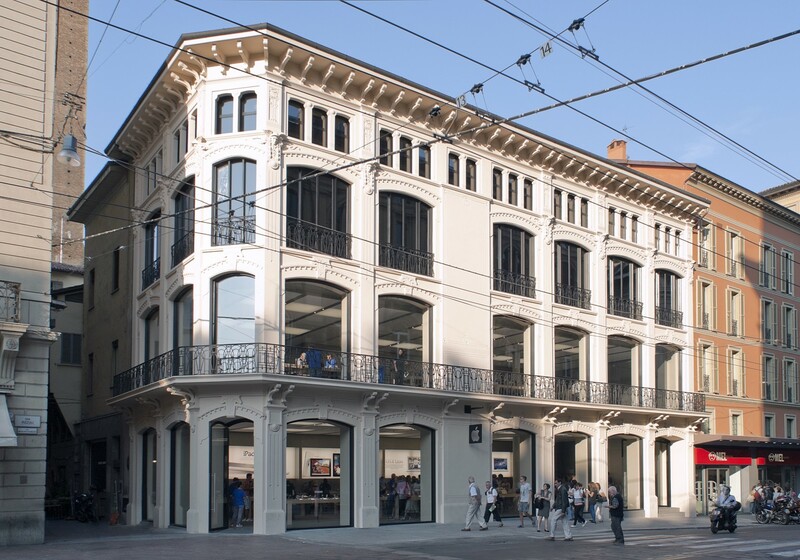 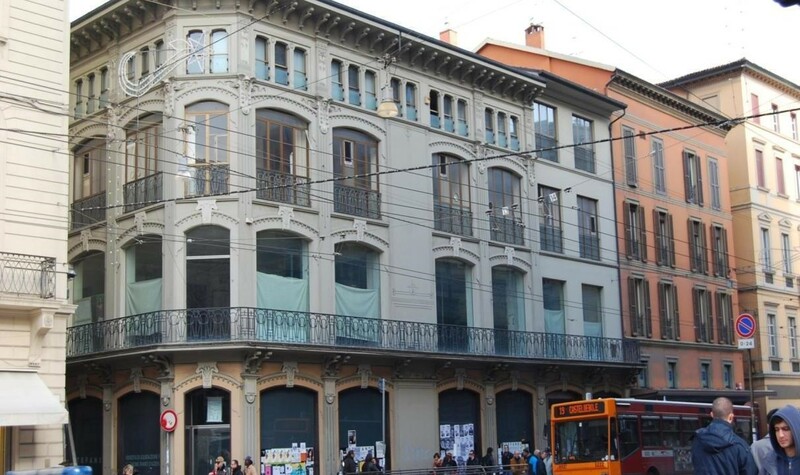 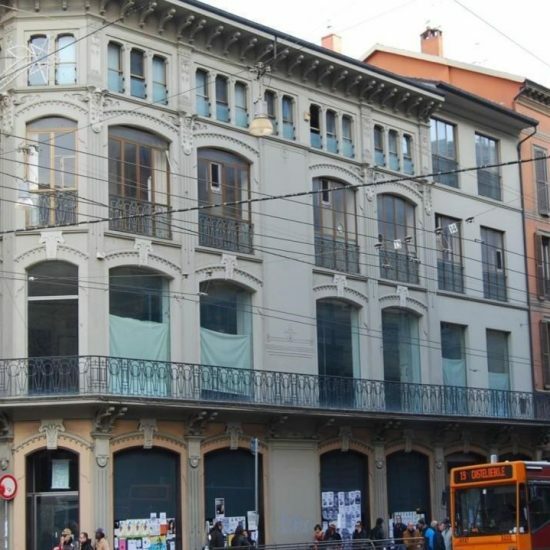 Casa Barilli is a building situated in Via Rizzoli, Bologna, completed in 1907, to a design by Leonida Bertolazzi. 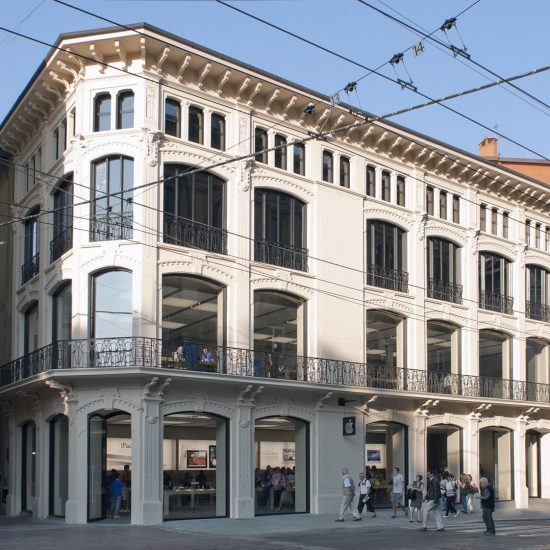 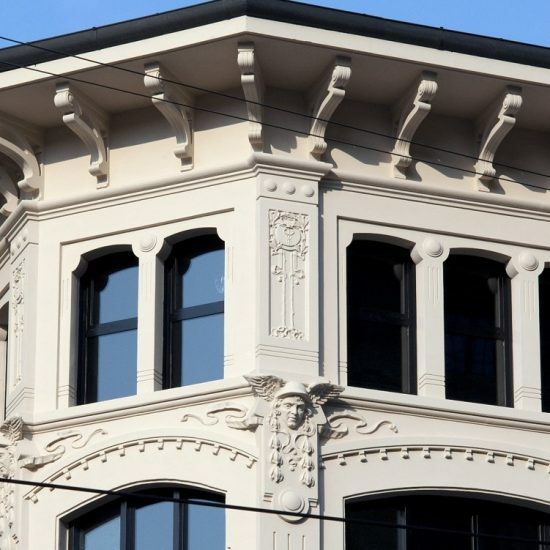 Within the scope of the renovation work and new configuration of the building’s use, the intervention provided for the re-setting of the Art Nouveau decorations in the last two east-facing spaces which characterised the rest of the facade. 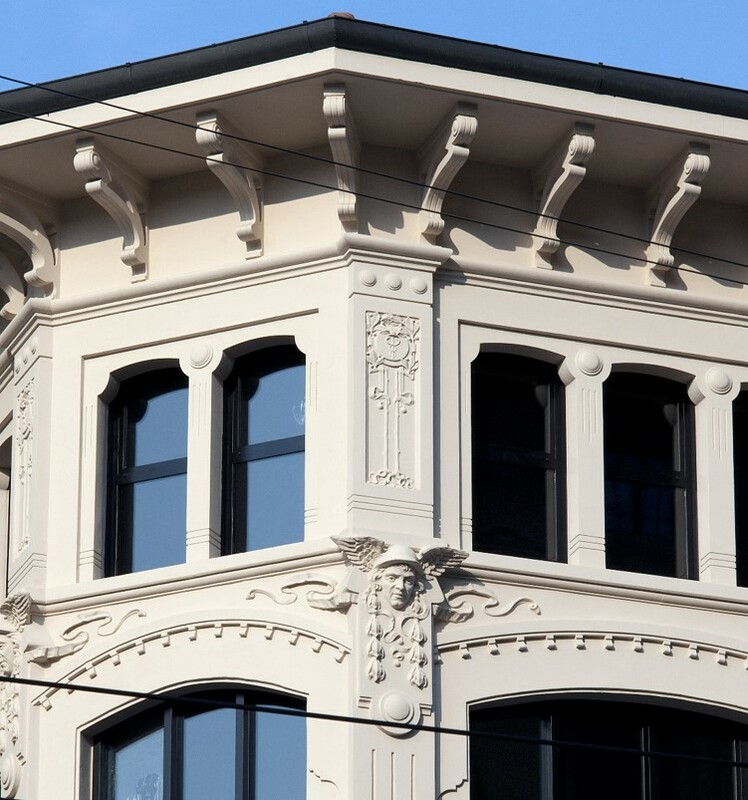 The means of measurement traditionally applied to historic building methods were adopted, in this specific case, with the employment of modern materials analogous to the original in use in the nineteenth century. 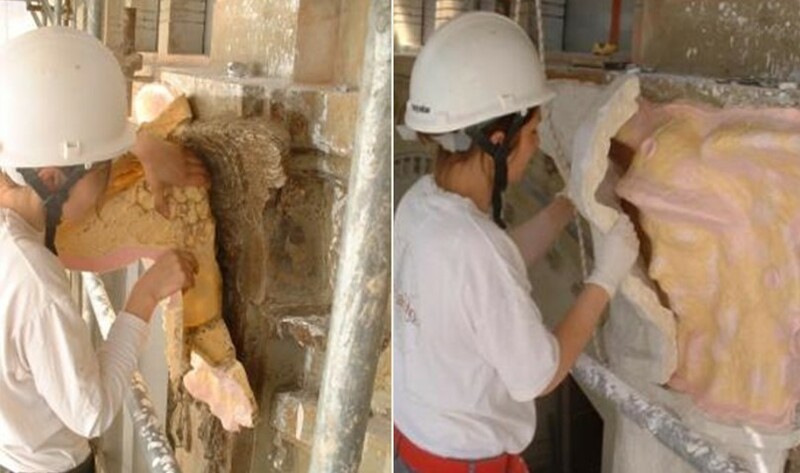 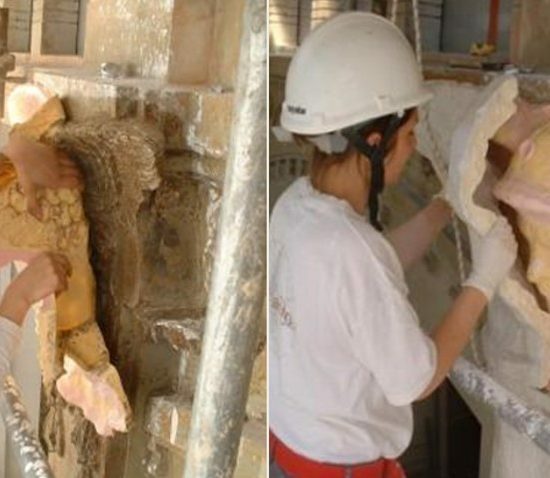 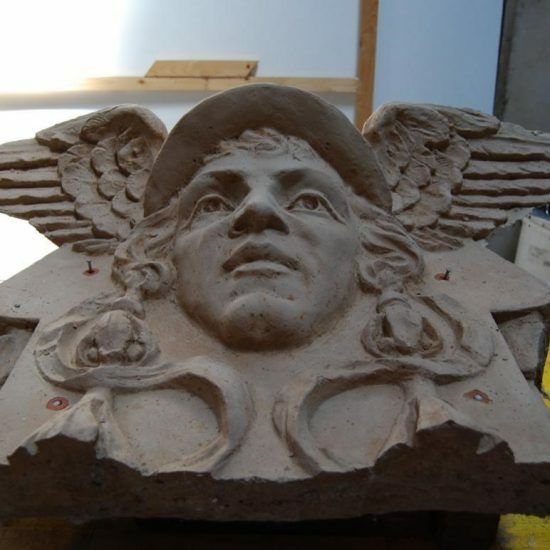 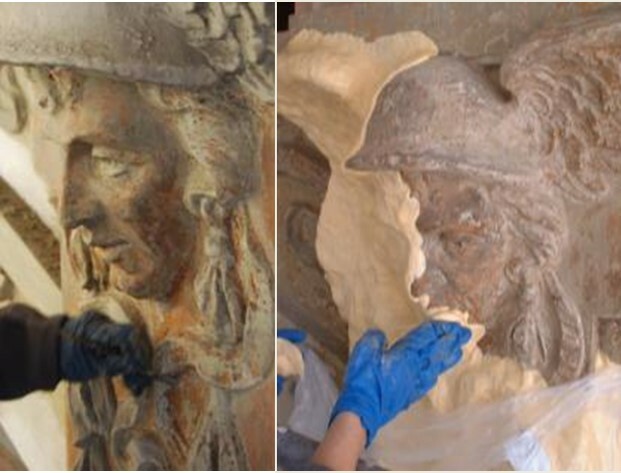 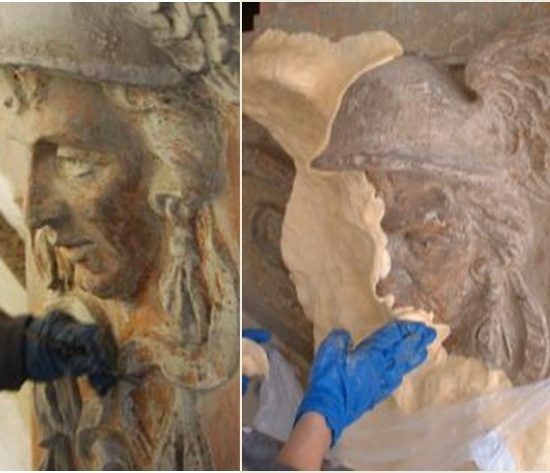 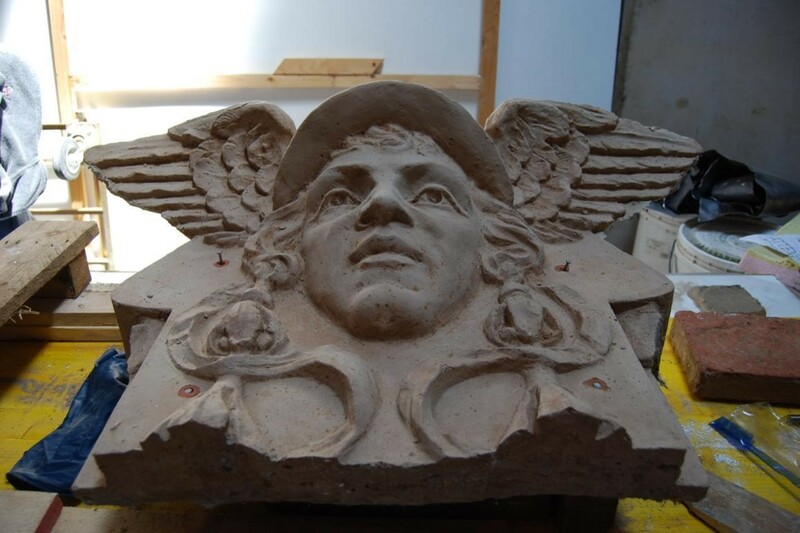 Therefore new decoration was realised with mortar formed ad hoc by the restorers on the basis of results of the mineralogical-petrographic laboratory tests, made up of Roman Cement and selected inert gases and achieved by the use of silicone rubber.